Gosh. There are so many things I could say right now, and none of them would really be about these cookies, which are really, really good. I'm trying to figure out in life what I can cut back on to give me more space in my brain and my schedule. I keep thinking that blogging is one of those things, and yet here I am, blogging. 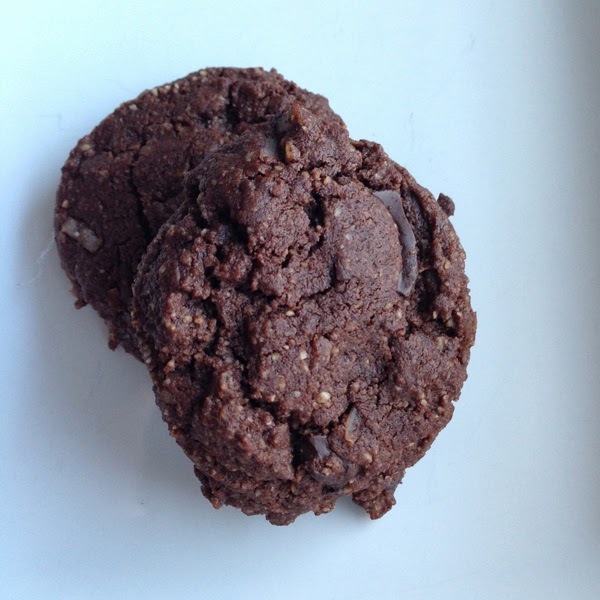 I wanted to get this recipe out though, because even though these cookies are what I would call "unusual," I would also call them, "dense, chewy, coconutty, chocolatey, and satisfying." They're a great gluten free cookie that I wish my gluten-limited son would try. 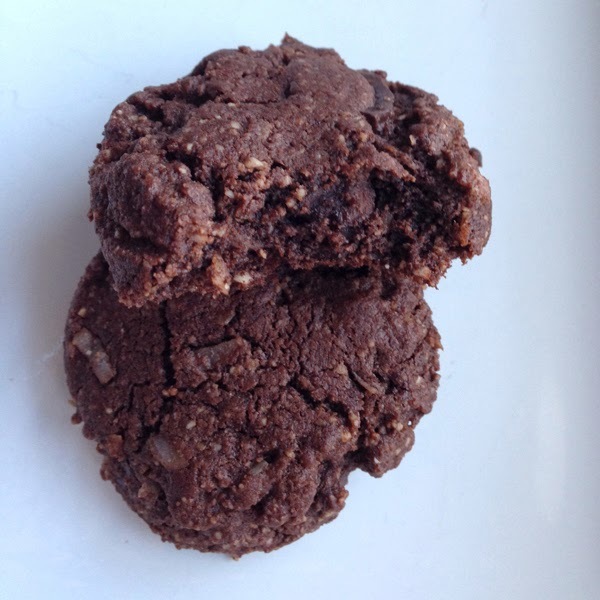 You definitely have to not hate coconut to eat these, so if these look good to you, but your not a fan of coconut, try this recipe for Double Chocolate Almond Flour Cookies. Sift cocoa powder into a medium bowl. 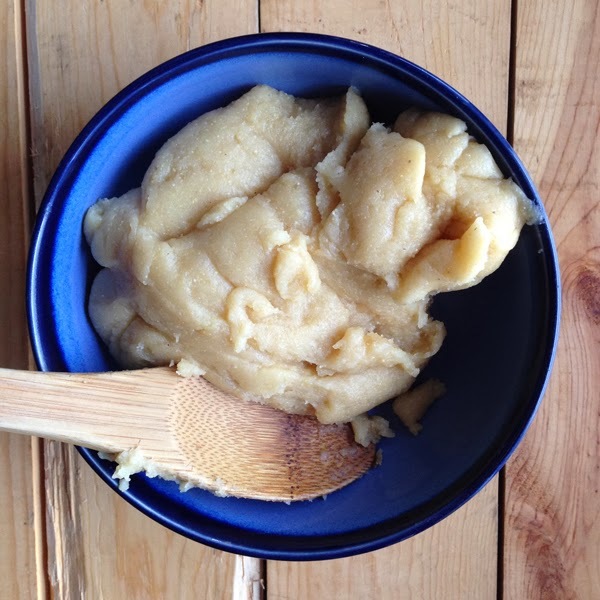 Stir in almond flour using a wire whisk. 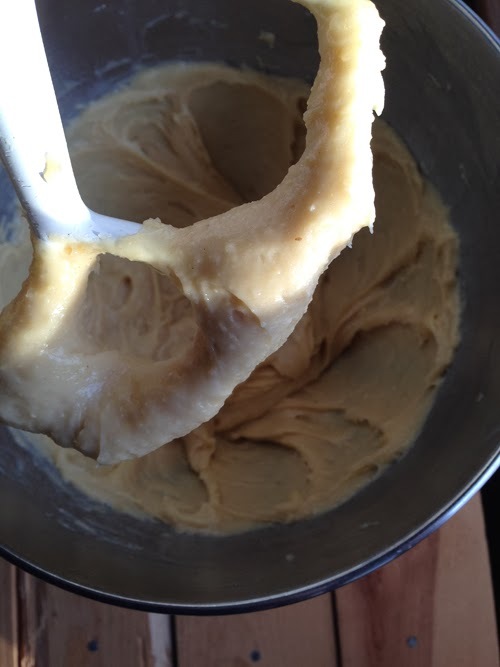 Cream butter, coconut oil and sugars until very light, about 2-3 minutes. Add egg and vanilla and beat until incorporated. Add salt and baking soda and beat until incorporated. Mix in cocoa and almond flour mixture. 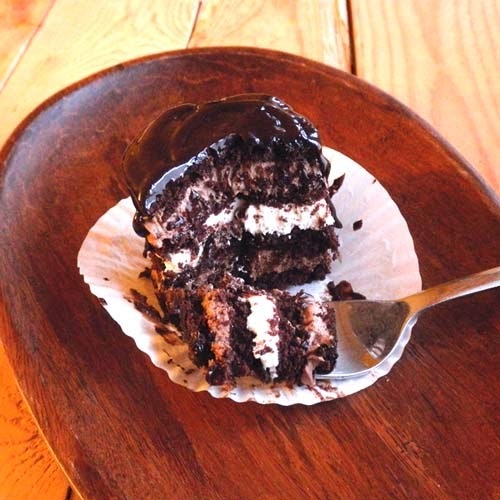 Stir in chocolate chips and shredded coconut. Scoop about two tablespoon mounds onto a parchment-lined cookie sheet (or use a medium sized cookie scoop), placing about an inch and a half apart. Gently smoosh dough to make almost 1/2-inch thick disks. Bake at 375 degrees for 8-10 minutes, or until puffed and cracked. Allow to cool on cookie sheet for about 5 minutes before moving to a cooling rack to finish cooling. With the wind chill today at -35 degrees Fahrenheit, the boys and I have the day off of school. Because I have so many other things I should be doing, I decided to finally bake up some gluten free cinnamon rolls for my gluten-limited boy. So far he's eaten three, so I think it's safe to say that these are a success. Even baked five minutes longer than the original Better Batter recipe and cooled completely, these are still too gooey for me. 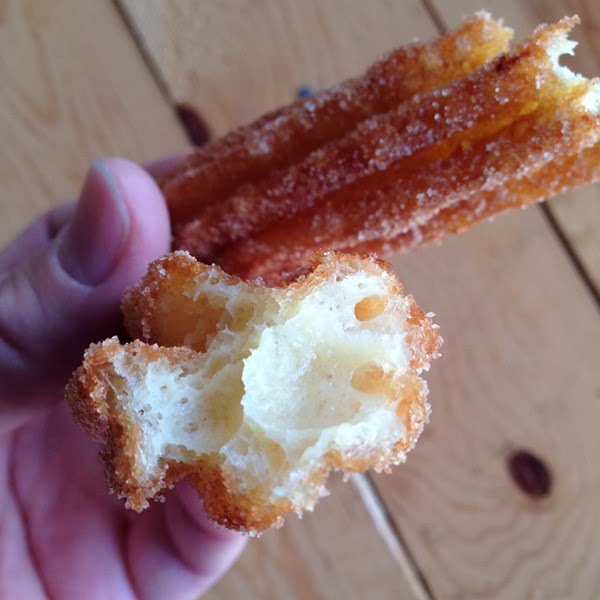 BetterBatter.org calls these a "Cinnabon Clone," which is probably why they're extra gooey. 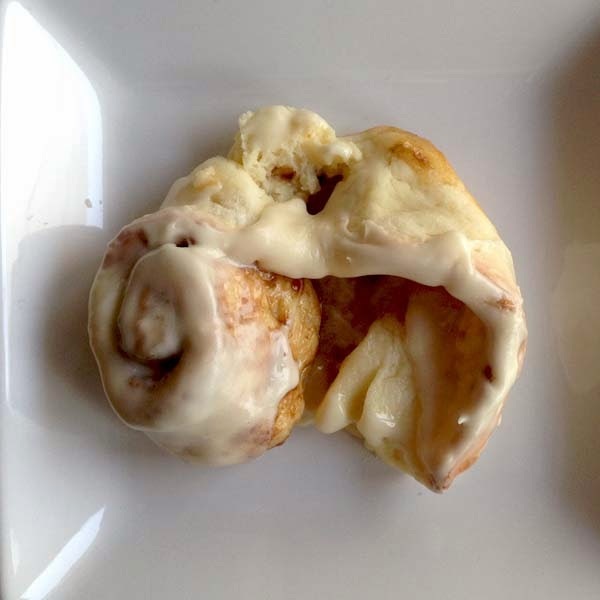 I've always thought Cinnabons were under-baked, but apparently lots of people like them that way. 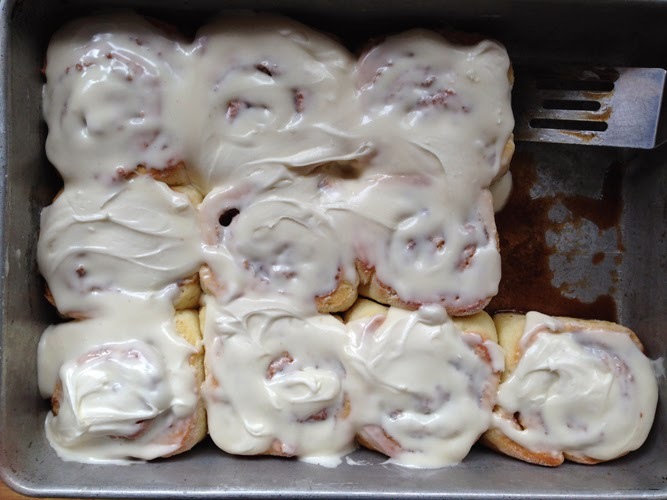 Good thing I'm not much of a cinnamon roll eater any more. 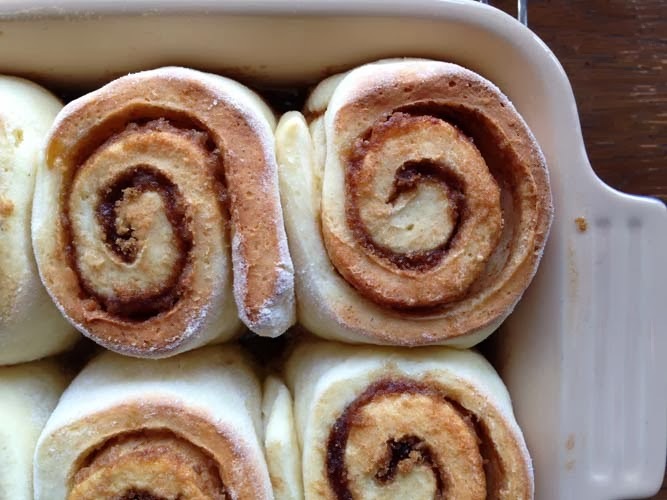 These are a great gluten free option for those who really need to be gluten free, but as with pretty much most cinnamon rolls, the only healthy thing about these is how they feed the soul. I'm just glad I was able to do that today for my kid. In a microwave safe bowl or measuring cup, add the milk and 1/3 cup butter and microwave on high for about 50-60 seconds. Stir until butter is completely melted and then check with your (clean) finger to see if it's just warm. If it feels hot, allow to cool to just warm. Into a medium sized bowl, measure out the flour, salt, sugar, and yeast. Stir to mix those dry ingredients. When milk/butter is warm, pour into the bowl of a standing mixer fitted with the paddle attachment, add the egg, and pour on the dry ingredients. Mix to moisten the dry ingredients and then scrape the sides of the bowl. Mix on high for 3 minutes. Cover the bowl with plastic wrap and set in a warm place to rise for about 35-45 minutes (technically until doubled, but mine didn't appear to double). Mix the first three filling ingredients in a small bowl and set aside. Butter a 10 inch by 7 inch baking dish and set aside. Lay out a 20 inch piece of plastic wrap and dust with an even, thin layer of flour. Scrape dough onto dusted plastic wrap and sprinkle with more flour. Gently shape dough into about a 12 inch by 18 inch rectangle by pressing, shaping, and rolling with a rolling pin. Spread the 2 1/3 tablespoons of very soft butter over the surface of the rectangle of dough, and then sprinkle evenly with the filling mixture. Gently roll the rectangle into a log, starting at one of the long edges. You may want to use a pastry brush to gently brush away excess flour as you roll. Mark the dough log into eighths and then cut into eight pieces using a 2-3 foot length of dental floss (you can use a knife, but I always like using the floss method because it keeps the rolls' round shape better). Place rolls into the pan, 4 x 2. Cover lightly with plastic wrap and allow to rise until doubled, about 30 minutes. Bake rolls at 400 degrees for 15-20 minutes, until deep golden brown on top. While rolls bake, prepare the topping by mixing all of the ingredients with a hand mixer in a medium sized bowl. When rolls are done, remove from oven and allow to cool for about 2-3 minutes before adding the topping. Place about a 1 tablespoon dollop of topping onto each roll and then use the back of a spoon or a knife to spread it evenly over each roll. 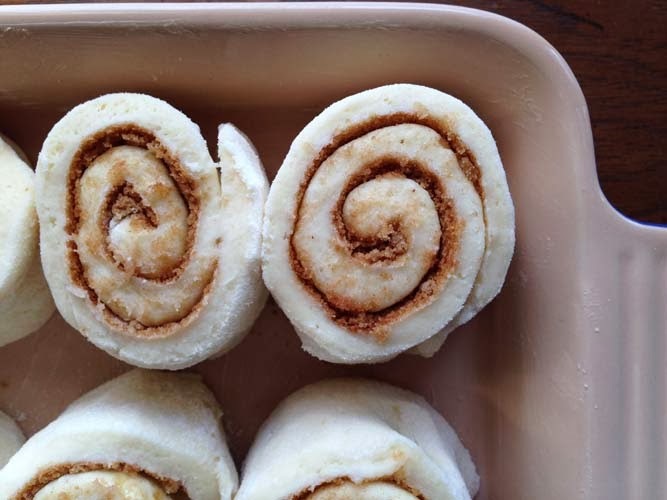 Allow rolls to cool a little more before serving. 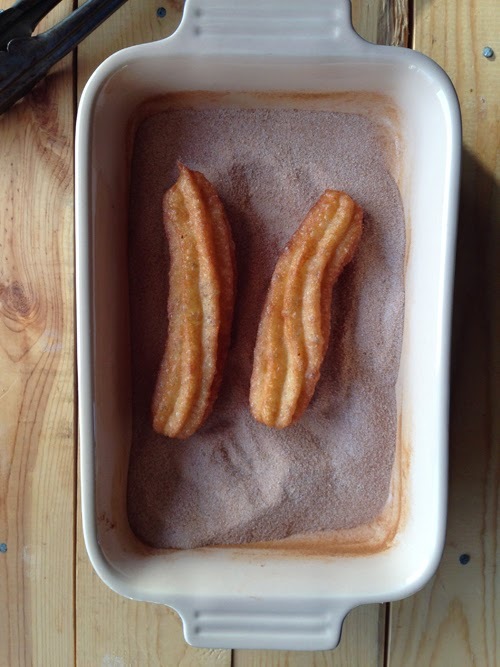 *For a dryer, less gooey roll, add another 1/2 cup of Better Batter flour for a total of 2 3/4 cups flour. This day I doubled the recipe and made 12 rolls. 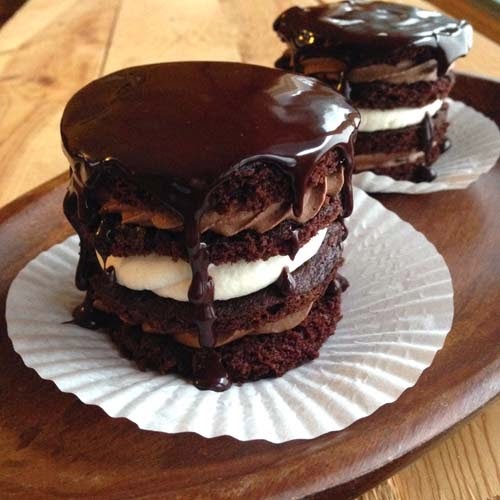 individually and wrapped them in wax paper. 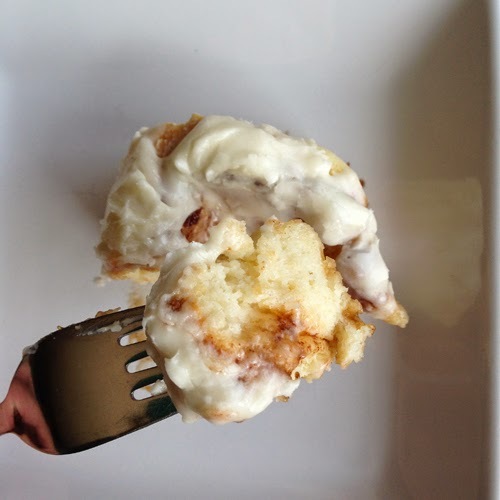 My kids love these cinnamon rolls so much, the smaller batch I started making just doesn't do it. I mean, there are enough rolls for them to eat for a couple of days, but I wanted to freeze several for the following weekend or two because I'm not up for making cinnamon rolls (and Gluten Free French Sandiwch Rolls) more than one weekend a month. The second time I did this, I was not thinking, or I hadn't gotten enough sleep, so I accidentally put in 5 1/2 cups flour instead of the called for 4 1/2 for a doubled recipe. I'd been doubling the recipe in my head as I went along. 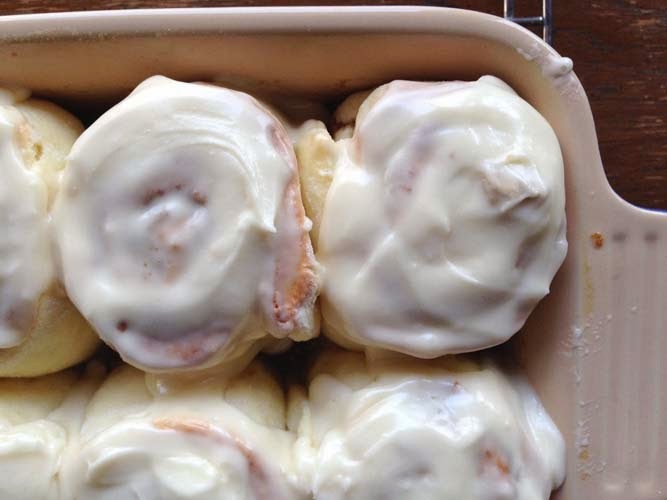 I actually prefer the rolls with more flour because they're not so gooey. 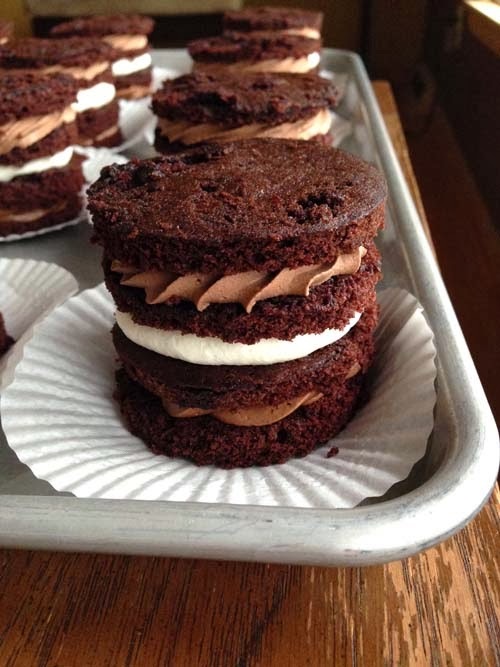 I'm posting the doubled recipe here so next time when I make these I don't have to actually do any math in my head. Maybe it will come in handy for you too. 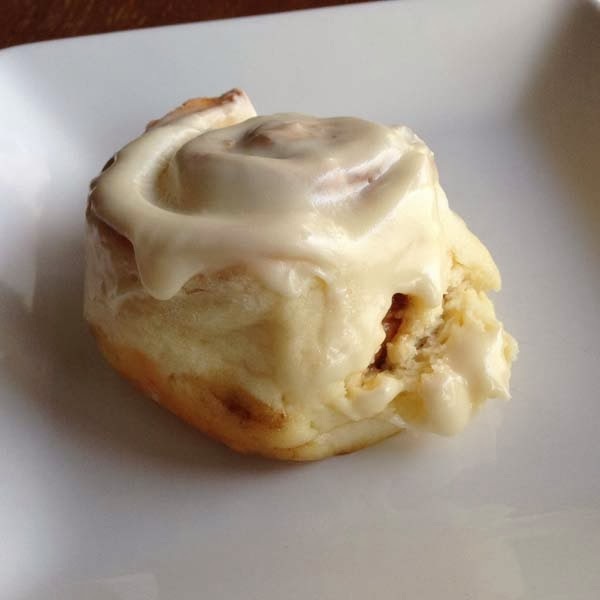 Note: The recipe as written below does NOT have the extra cup of flour, so the rolls will still be gooey. There is a *to indicate you need to add an extra cup of flour to the recipe as written in order to get the less gooey rolls. 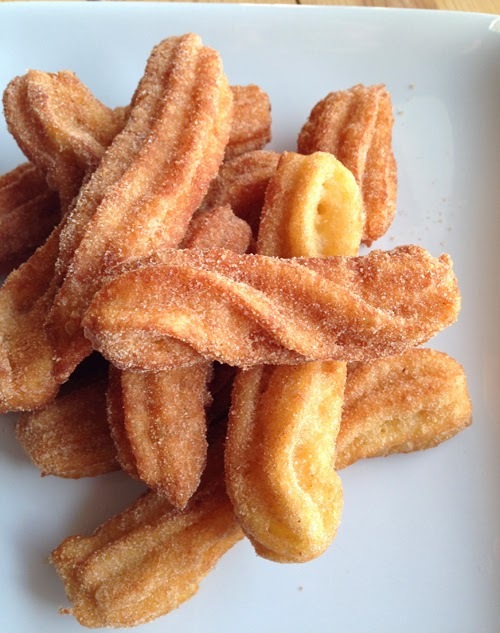 *For a dryer, less gooey roll, add another cup of Better Batter flour, for a total of 5 1/2 cups of flour. **One packet of dry yeast is 2 1/4 teaspoons. If that's all you have, I'm sure it will work fine, but you may need to add another 10-15 minutes to the rise times. 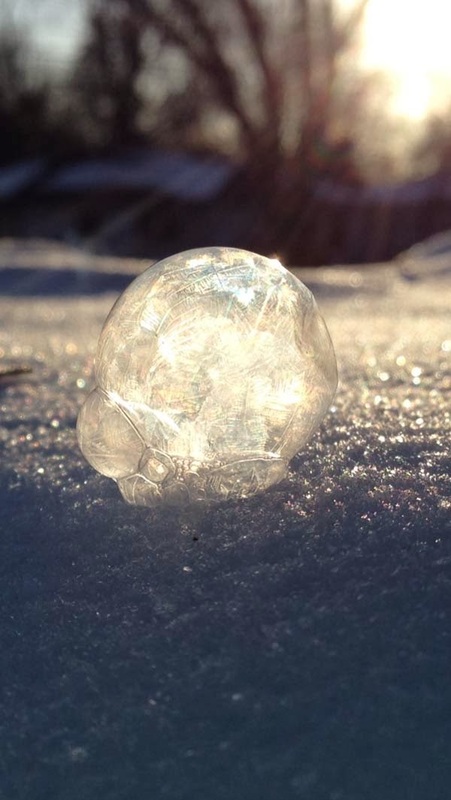 A Facebook friend the other day posted a link to an article on Distractify which had tons of beautiful pictures of these frozen bubbles. 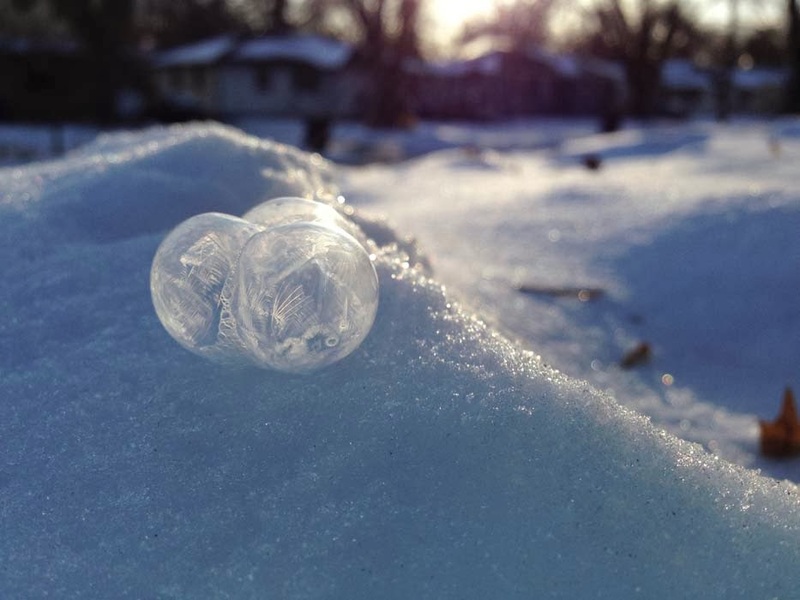 The article indicated that a mom and her son just blew some bubbles in below freezing weather and BA-BAM! Works of art! I know this is a food blog, but since this is what I did this morning, and because it required a recipe for bubbles, I'm posting it. 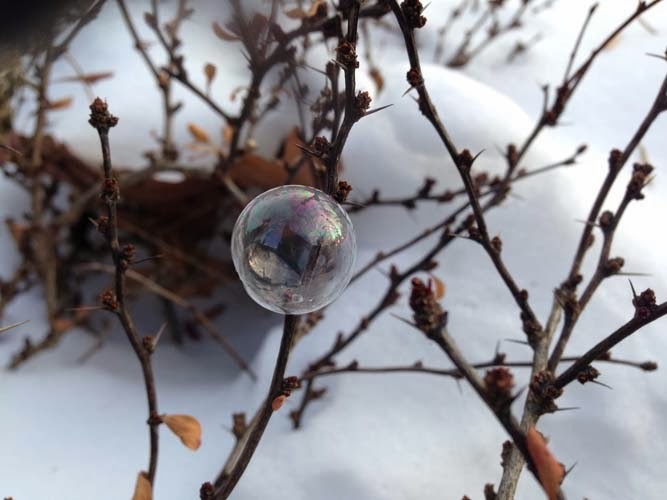 One of the perks of having my own blog is being able to do what I want to on it, and today I want to post pics of my beautiful frozen bubbles. I know I have several other things I should be doing on this "cold" day where school has been shut down due to -35 degree wind chill, but I've got aaaaalllll day. If you have time today and it's freezing outside, I think you need to give this a try. Gently mix the three ingredients in a glass measuring cup. Pour about a half cup into a small drinking cup. 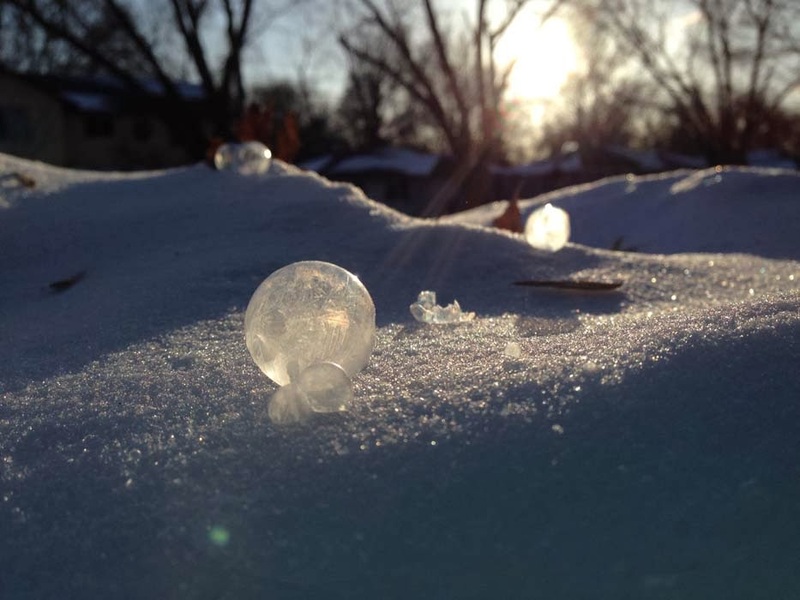 Go outside into freezing cold weather and blow some bubbles. I recommend using a bubble wand with smallish holes because the larger bubbles seemed to just pop. The small ones are the ones that landed and froze.